Samsung will soon launch its 'made in India' Galaxy M smartphones in Indonesia. Indonesia's ecommerce websites, Jd.id and Lazada.co.id have already started teasing the Samsung Galaxy M phones on their websites. 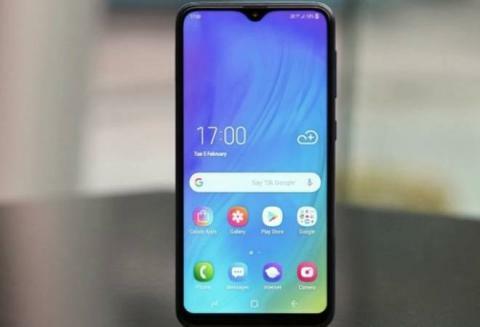 The teaser has confirmed that Samsung M20 will surely be launched in Indonesia, however, there hasn't been any confirmation regarding the Samsung Galaxy M10. Samsung will launch the Galaxy M-series in Indonesia on February 14. In India, Samsung Galaxy M20 is available in multiple RAM and storage combinations. It sports two rear cameras including 13-megapixel (f/1.9 aperture) and 5-megapixel (f/2.2 aperture) sensors. It is powered by Exynos 7885 processor paired with 3GB of RAM. The phone runs on Android 8.1 Oreo out of the box, and features a 3.5mm headphone jack along with a USB Type-C port. Samsung Galaxy M20 comes with a huge 5,000 mAh battery that supports fast charging via USB Type-C. Samsung Galaxy M20 also sports a 6.3-inch full-HD+ (1080x2340 pixels) Infinity-V Display along with a 19.5:9 aspect ratio. Samsung Galaxy M10 is available in India in 2GB RAM and 16GB storage and 3GB RAM and 32GB storage variants. Both the variants are priced at Rs 7,990 and Rs 8,990 respectively. Samsung's Galaxy M10 is also available in 4GB RAM and 64GB storage variant with a price tag of Rs 12,990. Samsung Galaxy M10 has a dual rear camera setup with a 13-megapixel primary sensor and a 5-megapixel ultra-wide secondary sensor. Additionally, there is a 5-megapixel sensor on the front for selfies. The smartphone also comes with a Micro-USB port and packs a 3,400mAh battery.